PRESS RELEASE On 24–26 November industry organisation Swedish Wood and representatives from Swedish sawmills attended a conference on treated wood for outdoor use in China. The event gave the representatives from the Swedish sawmills an opportunity to create new contacts and strengthen existing ties with Chinese companies active in the treated exterior wood segment. 24–26 November saw one of the most important events in treated exterior wood in China: the 3rd China Green Wood Industry Conference & the 11th China Wood Protection Industry Conference. The name describes one conference, which took place in the city of Zhangping in the Fujian province of China. The conference was organised by the China Wood Protection Industry Association (CWPIA), a national organisation that focuses on protective treatments for exterior wood. Swedish Wood attended, along with representatives from Swedish sawmills, and invited Niels Morsing from the Nordic Wood Preservation Council (NTR) to speak at the conference. The main purpose of Swedish Wood’s participation was to broker new, and strengthen existing, contacts between Swedish sawmills and Chinese manufacturers of treated exterior wood. China does not have a well-developed quality system with third-party controls like the Nordic quality system NTR, which assures the quality of treated exterior wood. This creates opportunities for Swedish Wood to work with the Swedish sawmills to support the development of a quality assurance system for treated exterior wood in China. A common quality assurance system for treated exterior wood would allow the collaboration with China to be further enhanced and made more efficient. 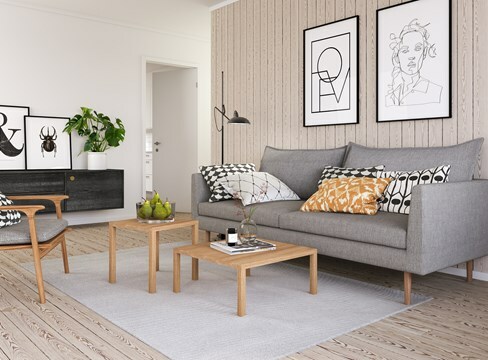 The Swedish sawmills have many years’ experience in global exports and can offer Chinese manufacturers a stable supply of raw material, explains Björn Nordin, Director of Interior & Design at Swedish Wood. During the conference, Swedish Wood held a matchmaking event where 20 selected Chinese companies who are members of the CWPIA met Swedish Wood members in the sawmill industry. The event produced excellent results, with many new contacts and potential customers for the Swedish sawmills. Niels Morsing gave a talk on quality assurance systems at the conference, focusing on third-party controls. In addition to his work at NTR, Niels is also Director of Wood and Biomaterials at the Danish Technological Institute (DTI) in Denmark. DTI is Denmark’s largest repository of knowledge about construction materials and works to ensure that wood used in outdoor environments meets the market’s expectations. 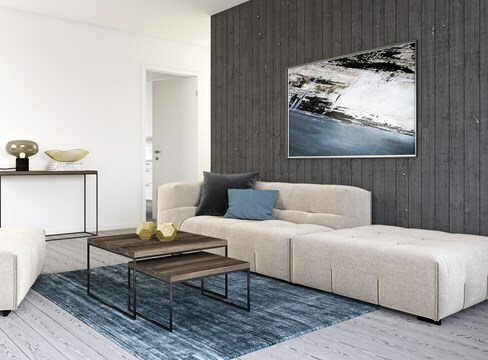 According to Niels Morsing, the Nordic countries have a strong partnership when it comes to research, development and production of exterior wood. - NTR is a quality system that has been operating in the Nordic region for almost 50 years. We ensure that the market’s expectations are met, both in terms of environmental impact and the quality of the wood. It has always been necessary to find innovative solutions, due to the restrictive nature of European legislation on chemicals, says Niels Morsing. - At the conference, the Chinese delegates showed considerable interest in the new, environmentally sustainable products that are used in Scandinavia today. China is switching from the previous preferred choice of pressure treatment agents (CCA) to more eco-friendly alternatives that we already use in Scandinavia, continues Niels. Björn Nordin is pleased with the outcome of the conference and its confirmation of China’s interest in exterior wood. - China is an important market for Swedish sawmills, and we can report that the Chinese companies are very positive about using Swedish pine and spruce as the raw material for treated exterior wood, he concludes. China is an extremely interesting growth market for Swedish sawn wood products, and Swedish Wood has been working actively since 2013 to support Swedish sawmill companies in the Chinese market. 2013 saw Sweden export 400,000 cubic metres of sawn wood products to China, three times more than in the previous year. In 2017, a new record was set for exports from Sweden to China of around 920,000 cubic metres, or SEK 1.7 billion (USD 190 million). For a few years now, China has been a priority market and one of the biggest Swedish export markets for sawn wood products. The images may be used for this article. Please write: China Wood Protection Industry Association. 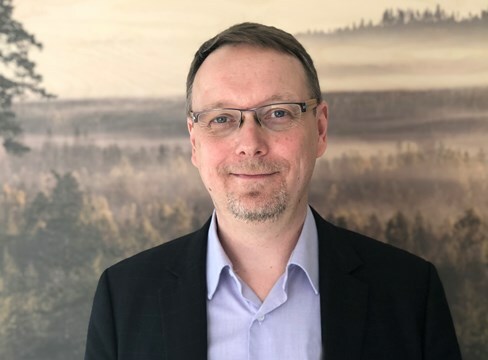 PRESS RELEASE April 1 marks the start of Mathias Fridholm’s tenure as Director of Swedish Wood, part of the Swedish Forest Industries Federation. Having previously worked at SCA, Mathias is taking over the leadership of Swedish Wood with the ambition of achieving an even greater breakthrough for architecture and interior design in renewable materials.